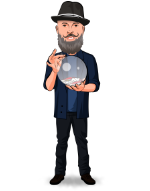 Today, when you order "Matt Johnson - Improved Vanishing Card Case", you'll instantly be emailed a Penguin Magic gift certificate. You can spend it on anything you like at Penguin, just like cash. Just complete your order as normal, and within seconds you'll get an email with your gift certificate. Matt Johnson - Improved Vanishing Card Case (Instant Download) Show the faces and backs after the vanish! 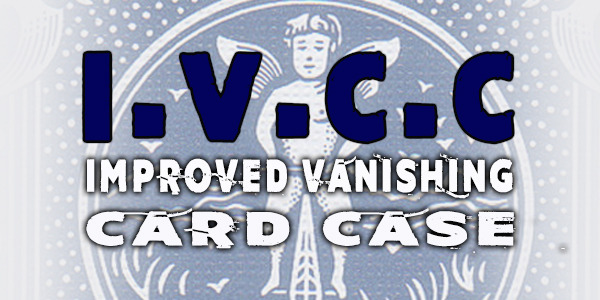 Matt Johnson' Improved Vanishing Card Case is now available for instant download and only . Imagine if you could make the card case vanish from the deck in the blink of an eye and immediately show the fronts and backs of the cards before going into your favourite routine. Well imagine no more. Matt Johnson's Improved Vanishing Card Case is here! Learn how to make the gimmick in minutes, how to vanish the card case and get two more bonus routines all for only . Get access to a 40-minute instructional video taking you step by step through this incredible piece of close-up magic direct from Matt Johnson's 20 year working repertoire. Don't miss out. This one is really good!